Anything that you write on the internet is capable of being copied. I mean, yea you can code your website so that users cannot highlight and copy the content, but that doesn't rule out the "PrintScreen" button on the keyboard. Although, that makes it so much harder to copy, as the person would have to retype everything, it will not stop anyone from copying. A person who really wants to copy your work, whether that be text, pictures, or anything else, will copy it. 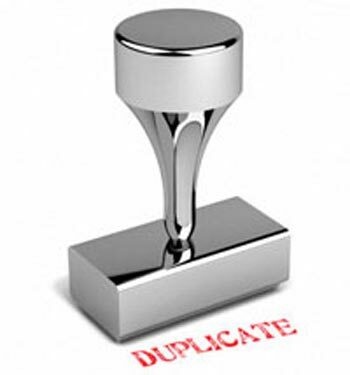 And, when your content is duplicated (large blogs of content copied from your work nearly in an exact word-for-word manner and pasted onto another website), it can actually harm your traffic, as according to Google, when search engines notice that the same content is repeated within a search, they start to index more unique content, pushing the duplicate content further down the search page. In some cases, you'll find that your duplicated content may even show a lower page rank, if the search engines think that there is intent to manipulate the ratings by adjusting the indexing or ranking of all sites involved (IE all sites with the same duplicated content). And, even more extreme, the site may be removed altogether from the search results. But, typically, Google and other search engines are able to distinguish which was published first, so that the copied content is the one which is penalized. There are things that you can do to address copied content concerns and issues, though. According to Google, you can take the following steps to address duplicated content issues, even in its non-malicious form (for example web version and printer friendly version). Block pages from being indexed: In cases of non-malicious duplicated content, you can block the 'Printer Friendly' version, so that the search engines don't get to decide which is the best version of the content. Use 301: If you have your own site, you should consider using 301, which redirects users, Googlebots, and other spiders using .htaccess files. Consistency: Keep your internal links consistent. Use top-level domains: By using "top-level" domains wherever you can for country-specific content. For example, users would more easily recognize that content on a website with the URL of www.example.au has Australian-focused content, versus an URL that is www.example.com/au or au.example.com. Syndicate carefully: By syndicating your content on other websites, search engines will decide which version they want to head the top of search results, which just may not be the version that you'd prefer. If you do syndicate, make sure to link back to the original content, in case search engines pull up the duplicated info versus the original. 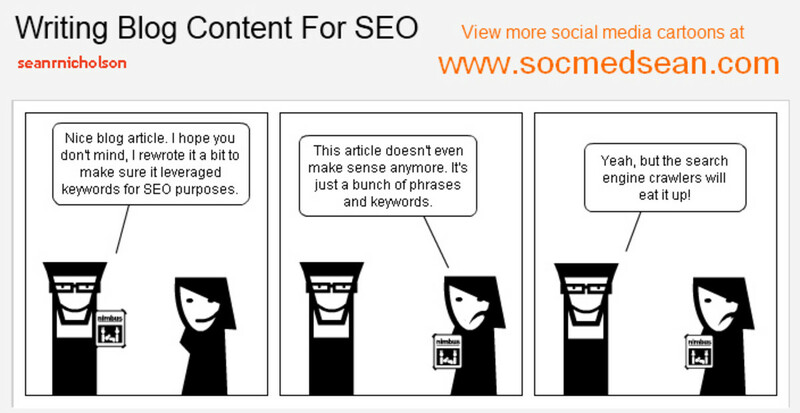 Although, this may not be the case if someone takes your content without posting the backlink to your original content. Use Webmaster Tools: By using Webmaster Tools, you can tell search engines to pull your preferred domain and content, versus the copied content being the first to pull up in a search result. Minimize similar content: Make sure that if you have multiple pages on your website or blog with similar content, that you expand the pages so that they each have unique content in addition to the similar content. 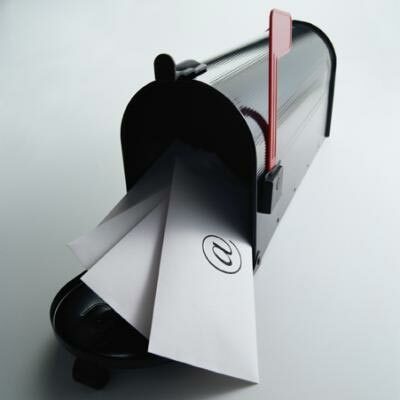 File a DMCA Complaint by email or regular mail, depending on the website's Infringement Act. There are a few things that you can do... First off, duplicate content is not means for a lawsuit action or anything like that, but you actually can push a lawsuit. But in many cases, there's not much that can be done unless the content has been copied and pasted with intent to manipulate search engines. But, there are a few things that you can try to get the copied content removed from the other website, blog, or article. You just want to make sure that you catch the copied content before the search engines think you're the one who duplicated the content, and your content is removed from search engine results. First, try to get in contact with the person who posted the blog or article. content. In may cases, the user will remove the content. 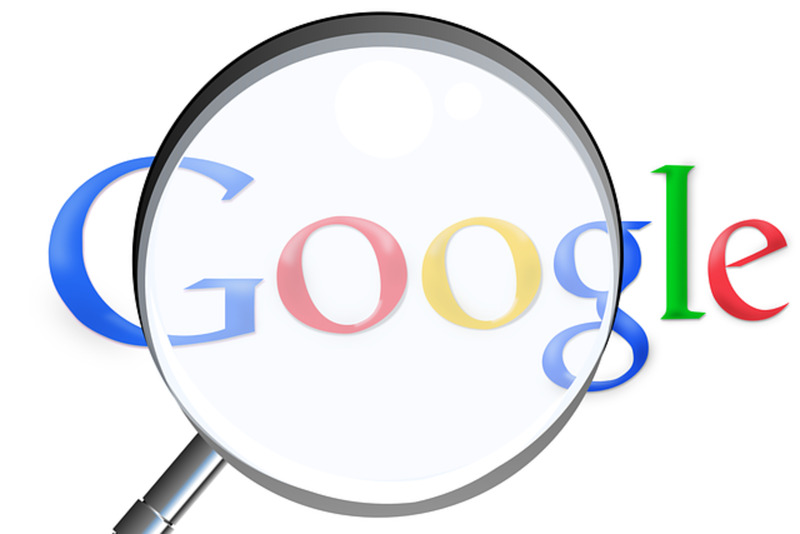 If the website has Google Adsense running on the page, you may just want to skip straight to filing a DMCA claim with Google (see the link below to go straight to Google), as you never know if there will be any retaliation and fraudulent clicks on your website, when you contact the other person for duplicating your content. And, you don't want your Adsense account penalized, or shut down, as a part of trying to have copied content removed from another website. All in all, I've actually found that some people copy your content without realizing that it was yours or that you didn't want it copied. Typically, those people apologize and quickly remove the copied content. Otherwise, those people who know they did something wrong and are passing your work as their own for all purposes of the content, they will usually pitch a fit and argue with you. The second group of people are those that you want to watch out for. Just remember that when emailing anyone about possible copied content, you make sure that you are as professional as you can, and that no matter what, you don't stoop any lower than the other person, as the emails are your words in writing and they may come back to haunt you. Next, if the user refuses to delete your content, try to go to the owner of the website. There will typically be a contact button or link where you can contact the website owners, especially if the content was copied to a blog or article site. As for a personal website, that's another situation, as usually the website owner is the person who posted the information. Lastly, if you still can't get any resolution by going straight to the source, you'll want to file a DMCA request claim, whether electronically or by mail, so that you can claim full ownership of the content and request that the copied content be removed from search indexes. What content has been copied. Description of where the copied content is. 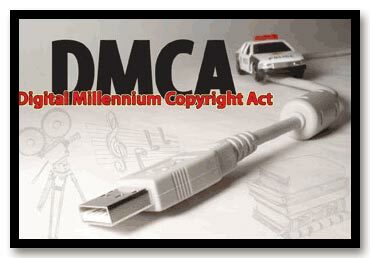 A statement that says a) "that you believe in good faith that the use of the content that you claim to infringe your copyright is not authorized by law, or by the copyright owner or such owner’s agent" and b) "under penalty of perjury, that all of the information contained in your Infringement Notice is accurate, and that you are either the copyright owner or a person authorized to act on their behalf." Although, the steps are going to be slightly different for different websites, you'll find that to some degree they are similar. When you are claiming infringment, you will want to see what the particular website wants you to do in order to have the situation researched and corrected. Below, you'll find just a few places that your content will frequently be copied and pasted onto. Follow their rules and steps, and you should have your content removed from the other person's page, article, blog, or overall search indexes, as soon as the situation is researched. Google DMCA: Go straight to Google and have their legal department check out the situation. Make sure to carefully follow the instructions to file your infringement notification. Blogger: If you think that your content was copied and pasted on a Blogger blog, you will want to follow this link, as you will get Google's Blogger infringement notification steps. 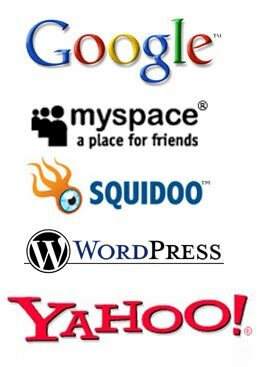 MySpace: Because MySpace offers a blog where people can post content, that leaves people the opportunity to copy and paste your content on their blog on MySpace. You will want to see section 9 of the link above, which will basically refer to you the MySpace Copyright Agent to state your case of claimed infringement. WordPress: If your content was copied from your website, blog, or article, to a WordPress blog, whether that blog is on a WordPress domain or a purchased domain that is hosted with WordPress, you should check out the Complaints page (the WordPress link above) so that you can find out proper steps to having your content removed from the blog. Yahoo: In terms of copied content on Yahoo, you'll find the most common place to find your content is in the Yahoo Answers area. If you find your content anywhere on Yahoo, contact them so that they can research the situation. A reader has accused me of copying their content. The irony in this accusation is the article was written by a top communications professional who gave me exclusive rights to use this on my site. This hub has never shown up with a duplicate warning (in fact none of my hubs have ever had this warning - I constantly fight malicious links and broken links - thankfully I have never had this item before). I replied respectfully to the unfounded accusation and explained she must be confused and then I notified the team at HubPages. In reviewing my statistics, it is my top communications article which doesn't surprise me because Darrel Burnett has over 30 years in communications and he is a superb writer who is in high demand for personal appearances and other consulting opportunities. In searching the Internet, the subject of vocal variety is fairly common in the communications field. Just an update: Squidoo's changed their report abuse link so the link you gave no longer works. Well written hub, just what I needed. It is a lot of clean up work to do when my hub content is copied. *sigh* I wish I can just concentrate on writing. I wish Hubpages can make it such a way that the article cannot be copied and pasted. Then, we won't have duplicate content problem. Thanking you for exploring my knowledge about security of my original contents. Thanks you again dear whitney05. This is so helpful! Someone copied my article and my work has been "unpublished" from Hub Pages! Excellent Hub - very comforting so that I know the steps. Wish me luck - I will need it. What an informative Hub-well done! I'll bookmark this so i can digest it slowly. From the comments, I see I'm about 10 months late. Being a rookie, I've often wondered about this topic. Yes, this has just happened to me. Two of my hubs copied and pasted word for word, with all of my pictures and captions into a Blogger blog. No linkback. Thanks for the info. I've left a comment on the blog asking for the posts to be removed, but I don't hold out much hope. As they have Adsense on, perhaps I will take your advice and file a DMCA complaint (although as Lissie said, it's not easy when you're outside the US and you can't do it online). You know, that old saying: "mimickry is the best form of flattery" ...or something like that. Walker, I've had it happen to me as wel. I have had the full content, including pictures, picture captions, and personal opinion and experience all copied. I can't seem to get ahold of the website owner, but I think I'll just leave it alone as there is a backlink.. I haven't 100% decided yet. Beatsme, Thanks for the comment. I'm not really sure what you're talking about with people to think they're worth copying in forums. Hi Whitney. This really happened to me. One of my hubs, don't remember which one, was basicly "copy" and "pasted" somewhere else and published, but they at least gave the credit to me, or Constant Walker. I only found out about it because I got a HP warning for "duplicate content." How's that for irony. Maddie gave me tips for getting the copied piece taken down and preventing it from happening again, but I figured hey, imitation is the best flattery, right? And they didn't try to steal the credit, so I let it go. Whitney! Great hub as usual. You have really covered very angle here, thanks for sharing all these helpful tips. Wow. Great tips here. I need to bookmark this in case i have problems in the future. That's a great idea, crusador. I will add that tip above. So, far those that I've contacted have not had working Adsense. Its true that if you mail the blogger or site owner to remove your content, he'll appologize for it and remove the content but there is always a risk associated. He can retaliate using tricks like illegal clicks or stealing the adsense id and pasting it on adult site etc. It has happened with few hubbers here. Best strategy is to file a complaint with google if he is diplaying adsense. William, I've had a number of mine copied. :-( Mostly on Yahoo Answers (some just multiple paragraphs, but others the entire post to include my picture descriptions and personal experiences), and a few wordpress blogs, a blogspot blog, 2 myspace blogs, websites, and some forums, as well. I'm not sure how to address the forums just yet. CherylAnna, I didn't realize how big a problem it was until, HP started testing their CopiedContent feature and I saw loads of little red C's on my account page. Whitney- One of thie biggest problems of being a wonderful writer like yourself is the fact that people will want to pass off your work as their own. Your skills are a blessing and a curse. Luckily, you apparently know how to address the problem. Prior to reading this hub, if someone stole anything of mine I would sit here and scratch my head and think: What do I do now? Thanks for this hub. Great information. Much needed now-a-days!!! Thanks for all those suggestions and links Whitney! Really informative! This is very timely, Whitney05, as it closely follows HubPages' new feature that makes note of duplicate content. Four of my hubs have been copied. Thanks for the good information.